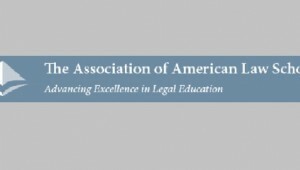 The AALS Section on Litigation invites papers for the AALS Litigation Section Program—Artificial Intelligence and Litigation, which will be held during the AALS Annual Meeting Jan. 2-6, 2019. The Review of Litigation (University of Texas) will publish panel papers in a special symposium issue. Artificial intelligence is rapidly altering the field of litigation. AI rooted technologies are increasingly utilized in fact gathering and strategic decision making. This program will discuss various technologies that are currently being utilized in litigation and suggestions as to other technologies that may soon appear in the marketplace. Further, the program will discuss the ethical and societal implications of AI influenced litigation, as well as the opportunities and challenges that law schools face in preparing graduates for a professional environment that will in no small part be shaped by AI.